Has a new human species been found? Do you fancy being buried at sea? Morton Farrier will be back! The LostCousins newsletter is usually published fortnightly. To access the previous newsletter (dated 24 December 2013) click here, for an index to articles from 2009-10 click here, for a list of articles from 2011 click here and for a list of articles from 2012-13 click here. Many thanks to everyone who wrote to offer their best wishes after the revelation in the last newsletter that I am suffering from dengue fever - fortunately I feel significantly better than when I last wrote, and my doctor reckons that the disease should be cleared from my system in another few weeks, almost certainly in time for Who Do You Think You Are? Live (though in any case, the disease isn't contagious). I'll definitely be fighting fit for Genealogy in the Sunshine which runs from 15th-22nd March (and, by the way, owing to a cancellation there are still two places available should anyone be interested). It's perhaps somewhat ironic that just weeks after mentioning in my November newsletter that I was one of the 139 schoolchildren in the borough of Ilford to contract scarlet fever in 1956 (according to the recently released London Health reports), I should once again become a statistic - in 2012 there were just 343 people from the UK who contracted dengue fever (it will be interesting to see how the figure for 2013 compares). Coincidentally, it was that bout of scarlet fever - also a potentially fatal disease - that led to my previous stay in hospital, 57 years ago. Hopefully it will be at least another 57 years before I have to go back! It's many years since I've been able to offer a discount on Premium and Worldwide subscriptions to Ancestry.co.uk, and whilst this offer isn't exclusive to LostCousins, by using this link you can help to support LostCousins. In return I'll give you a free 6 month subscription to LostCousins when you purchase an Annual Premium subscription, or a 12 month subscription when you purchase an Annual Worldwide subscription. The offers ends at 11.59pm (London time) on 7th January, but I'd advise not leaving it until the last moment. The discount only applies to your first year's subscription, and the offer does not apply to renewals of current subscriptions - sorry. This offer cannot be combined with any other Ancestry offer. To claim your free LostCousins subscription send me a copy of your email receipt from Ancestry.co.uk (if you already have a LostCousins subscription I'll extend the expiry date by 6 or 12 months, as appropriate). Please send the receipt promptly - you can use any of the LostCousins email addresses, including the one I wrote from when telling you about this newsletter. You can, of course, earn two subscriptions if you take advantage of the findmypast offer as well! A number of the key organisations to have responded to the Beyond 2011 consultation on the future of the census have published their submissions online, and the consensus seems to be that abandoning the traditional census in 2021 would be a highly risky strategy. "The ONS should make a clear statement that it will not replace the ten-yearly census at least until real numbers using an alternative approach have been produced and accepted by those who use them. To continue with the ten-yearly census (with a strong online focus) may be unambitious, but to abolish it without a well-tested alternative would be reckless." The Academy of Social Sciences came out strongly against the proposed changes in its submission. In the accompanying press release they wrote: "we have fundamental concerns about a proposal to scrap [the Census] and use administrative data as an alternative." The Academy of Medical Sciences was also against the changes, and wrote: "Based on the concerns outlined above, the Academy strongly recommends that the ONS seeks government permission to conduct a full census in England and Wales in 2021." The Royal Town Planning Institute were highly critical in their response: the President of the RTPI said that "The ONS’s proposals to change the Census may undermine planners' ability to accurately project future trends and meet future demand. Planners base their housing need projections on tried and tested data sources on population, housing and travel which is currently provided by the Census." Cornwall Council also rejected the changes in its submission, which highlighted the risks of introducing a completely new system, and in its response the Association of North East Councils was also against the changes. The Royal Historical Society in its draft submission argues that if there were to be a change, the existing census should continue in 2021 and 2031, and describes the risks inherent in the proposed new system as potentially leading to "the worst of all worlds". Given the way that these responses are skewed in favour of continuing with a traditional census in 2021 you might think that I've been cherry-picking the responses, but I haven't - so far my Internet searching hasn't uncovered a single organisation which considers Option B a feasible alternative to the 2021 Census - with the exception of the Office for National Statistics, which dreamt it up in the first place. You probably won't be surprised to learn that until a few years ago, the General Register Office - another bête noire of family historians - was part of the ONS! For some time the National Archives of Ireland has had online images and transcriptions of the 1901 and 1911 Censuses of Ireland (remember, you can enter relatives from the 1911 Census on your My Ancestors page), but not everybody is aware that there are several other key datasets available online, including probate calendars. These cover the whole of Ireland from 1858-1920, and the Republic of Ireland from 1923-1982. Tip: you can search the 1858-1920 records by executor/beneficiary as well as by the name of the deceased. It's not quite as easy to search the later records - see this online guide for step by step instructions - and you'll need to download a large PDF file of the records for the year. The PDFs aren't searchable, but the records are in alphabetical order by surname of the deceased. Tip: Ancestry has probate calendars for England & Wales from 1858-1966 and individuals who owned property in Ireland as well as England & Wales may appear in both calendars. For example, John Armor Wells, a wholesale cheesemonger of Lime Street, London, whose will was proved in England in 1873, also left £250 in Ireland. The NAI site also has soldiers' wills, mostly from World War 1, but there are also some from the Boer Wars covering the period 1899-1902 (wills from 1918-22 are due to be added in early 2014). These wills are available free online. Probate calendars for Northern Ireland (including the District Probate Registries of Armagh, Belfast and Londonderry) are searchable here, at the Public Records Office of Northern Ireland website. The calendars currently cover the periods from 1858-1919 and 1922-1943 (the 1920-21 records will be added soon - part of 1921 is already included). There are also over 93,000 images of copy wills for the period 1858-1900 which can be viewed free online. Another useful online database at the National Archives of Ireland includes nearly 39,000 records of criminals who were deported to Australia - you can search it free here. Tip: you may need to create a filter using the Advanced Search to cut down the number of matches - the Simple Search will match any field . There are now over 20 million entries from the Petty Sessions Court Registers online at findmypast.ie (but also available with a World subscription from findmypast.co.uk). As the population of Ireland peaked at just over 8 million around 1840, it's a very substantial dataset (though of course some reprobates will be listed multiple times!). Each year Scotlandspeople, the government-owned website that is the main source of online Scottish genealogical records, releases additional birth, marriage, and death records. This year the release comprises births from 1913, marriages from 1938, and deaths from 1963. You've got until 11.59pm (London time) on Monday 6th January to take advantage of the 15% discount that I've arranged for new subscribers to findmypast.co.uk - and also claim a free LostCousins subscription (your total saving could be as much as £36.49!). You'll find all the details here - please read the instructions all the way through and follow them carefully to make sure you qualify for your free LostCousins subscription. During 2013 a few hundred invited members have been testing the new LostCousins forum. At the same time I've been creating the Resources pages that will provide the backbone of the forum when it opens. Note: the links in the image above aren't active - but when you are invited to join the forum you'll be able to click on any of the links (shown in blue) to go straight to the sources mentioned. Why have Resources pages? A typical family history forum is full of discussions where members of the forum post their hints, tips, and questions - and it can be very interesting scanning through what people have written in the past. However, we don't always have a couple of hours to spare (! ), so what I'm going to be doing - with the help of the forum moderators - is collecting the most useful tips and adding them to the relevant Resources page. In other words, the Resources pages will be like an extension of my newsletter, but with far greater detail than you'd expect to find here. This is because in a publication that's going out to tens of thousands of researchers with diverse origins and interests I can't include articles that are only likely to be of interest to a handful - but on the forum there's virtually unlimited space. Another big advantage is that finding previous newsletter articles can be a challenge, whereas the forum is arranged by topic, so it's very easy to find the information you want. Whilst I'm the only one who can edit the Resources pages directly, all members of the forum can contribute information for the Resources pages through a sub-forum called More Resources (there's a More Resources sub-forum for every Resources page). This ensures that the forum is as up-to-date as possible, but also maintains a separation between the information that has already been validated, and that which has yet to be fully checked. When will you be able to join the forum? Invitations will be going out throughout the year, and the first batch will include the members who have supported LostCousins by becoming subscribers. The aim of inviting the most supportive members to join the forum first is to ensure that the LostCousins forum is welcoming, with a positive and constructive focus. As you've probably discovered, some online forums are populated by whingers, or by people who are only interested in the sound of their own voices - but I can assure you that they won't be welcome at our forum! According to a recent article on the BBC News site the analysis of DNA from bones found in a Siberian cave has led to speculation that they come from a mystery human species. If you live in the USA you can save on a DNA test with Ancestry.com - if you're quick. Currently Ancestry does not offer DNA tests outside the USA - Family Tree DNA is the company I used to test my DNA. The idea of being buried at sea seems quite romantic, but there are only three licensed maritime burial sites in the UK, and in 2011 and 2012 there were just 4 sea burials in each year. There's more information in a BBC News article published today. This week I had an email from Nathan Dylan Goodwin, the author of Hiding the Past, to confirm that he IS working on a second book featuring forensic genealogist Morton Farrier - and all being well it should be published before the end of this year, which is great news. 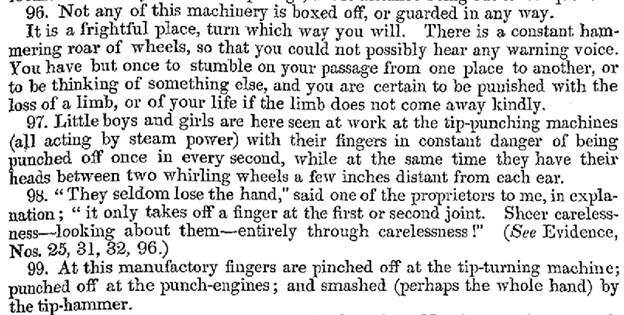 The report of the Children's Employment Commission included about 1500 interviews with children, some as young as 6, who were working in factories, down mines, up chimneys, or in other work. The names are given, so there's a chance of identifying relatives - you can search by name at Ancestry. In one of my 2013 newsletters I managed to fit in three short quotations from songs by a singer/songwriter whose career has spanned 5 decades - there's a free one-year LostCousins subscription for the first member who can list them! This is a great time of year to pick up bargains in the supermarkets. On Saturday my wife allowed me to drive (accompanied) to our nearest Tesco superstore - the first time I'd driven in a month - and we discovered some excellent bargains. There were "6 month matured" 2lb Tesco Finest Christmas Puddings for sale at just £2.50, and as the 'Best before' date is March 2015 I reckon they'll make excellent "18 month matured" puddings for next Christmas. But the greatest bargain was huge 2kg bags of clementines for just 8p each! I picked up half a dozen bags, and now that I've finished this newsletter I can turn my attention to the task of baking and bottling them in brandy (there is a wide choice of recipes on the Internet, but if you have a favourite do please pass it on!). Without a doubt the most popular tips were the books. In January I reviewed Birth Marriage & Death Records by David Annal and Audrey Collins, writing that "it answers almost every question that I've ever asked myself about civil registration - not just in England & Wales, but also Scotland, Wales, and even the Channel Islands. There are also chapters on military and overseas records, and on divorce and adoption". In March I was delighted to announce that Steve Robinson's third book, The Last Queen of England, had just been released - and as with his previous books (In the Blood and To the Grave) the reviews it has collected at Amazon have been mainly 5*. They make great reading for anyone with an interest in family history, as Amazon have clearly recognised - they've signed up Steve for their Thomas & Mercer imprint, which is a great coup for a self-publisher! In May I mentioned that one of the first things I did when I started researching my family tree more than a decade ago was to buy a book called Ancestral Trails by Mark Herber, and that when I saw that I could get a nearly new copy of the 2nd edition, published in 2005, for around £8 including postage I jumped at it (the book has 870 pages and weighs several pounds). There are still second-hand copies available at Amazon for a similar price - it's a must-have book because it covers so many different topics in great depth. 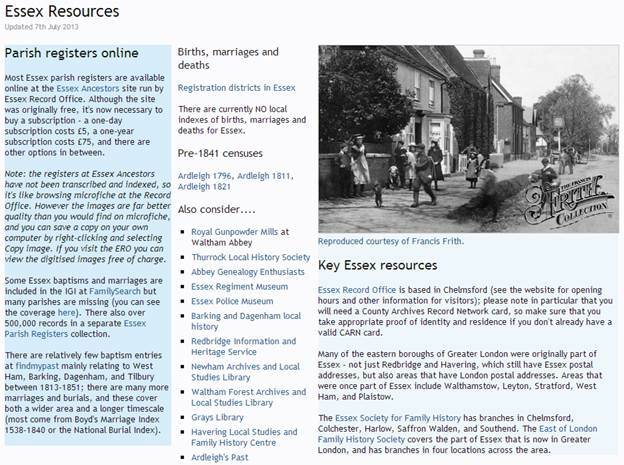 The following month I published a short, but very useful article on researching military ancestors by Simon Fowler, who worked for the Public Record Office (now the National Archives) for nearly 30 years - and also mentioned how impressed I was by his Kindle book Ancestors In Arms: Tracing Your Family Military History. Another book recommended in June was Chris Paton's Tracing Your Irish History on the Internet - coincidentally it was in the same newsletter that I announced my plans for Genealogy in the Sunshine, a family history course with a difference (Chris will be one of the main speakers in March). By September I was reading The Marriage Certificate, by Stephen Molyneux - the fact that the hero of the story is an amateur family historian like you and me, not a professional genealogist, made it extra special. I also made a start on Michael Sharpe's fascinating book Family Matters: a History of Genealogy - it provides an invaluable insight into the way that people researched family trees in the days before the Internet. Then in November it was Hiding the Past, by Nathan Dylan Goodwin - the book I took with me on my fateful trip to the tropics (thankfully I finished it long before I became delirious). But it wasn't all about books - in March I told you about the fantastic slicer I'd bought, just like the ones they use at the delicatessen counters (but a bit smaller and a LOT cheaper). I've been using it over Christmas, of course, and I reckon that over the year I've owned mine it has virtually paid for itself, with many years of use yet to come - I've still only used one of the three blades. I paid £10 more than Amazon's current price so it'll be an even bigger bargain if you buy one now! In the same month I also wrote about the potential advantages of State Pension Deferral - something everyone with a UK state pension should think about, ideally - but not necessarily - before retirement. In June I mentioned GiffGaff (the independent mobile phone network that came out top in the Which? customer survey). They're particularly good if you have a smartphone, tablet, or laptop because a single SIM card and a single payment can potentially cover all your devices - and if you use the link above you can get £5 of free credit when you top-up for the first time. Finally, an offer that's hot off the press: Albelli, Europe's biggest producers of photo books, personalised calendars, and similar publications are offering 50% discount on personalised calendars and greetings cards when you click here and use the offer code FTYCAL at the checkout, and 40% off photo books and canvas prints when your use the code 4TPBCN (both offers end on 7th January). I'll do my best to keep the tips coming in 2014. In the meantime I'm going to leave you with a heart-warming story that appeared on the BBC website on Christmas Eve - a church in York is to be allowed to keep £100,000 in banknotes which were found in a black bin bag on the vicarage doorstep earlier this year. The Ancestry offer - see above - wasn't in the first version of this newsletter. Any other minor revisions will be added here.